Fountain Therapies is an award winning independent family owned Holistic & Wellness centre conveniently situated between Crawley, Horsham and Haywards Heath. We have rapidly grown in reputation as being a calming place where those who seek help in their lives ‘can just be’, taking time out from the hurly burly world of the 21st Century. This is truly a place where you can relax, unwind and chat. We have two therapy rooms offering Holistic and Complimentary Therapies including Acupuncture, Aromatherapy, Audiology, 13 different styles of Massage, Osteopathy, Bowen Technique, Beauty Treatments, Counselling, Energy Healing, Food Intolerance Testing, Foot Care Clinic, Herbal Medicine, Homeopathy, Hypnotherapy, Iridology, Naturopath, Meditation & Mindfulness, Phlebotomy (Blood Draws & Centrifuge), Physiospect Diagnostics, Psychic Mediumship Readings, Reiki , Sports Therapy Team & Women’s Health & Wellbeing. Appointments are available Monday to Friday from 8am to 8 pm and Saturdays from 9am to 3pm, our Reception is open Monday to Friday 9.30am until 6.00pm and Saturdays 10.00am to 1.00pm. Free car Parking is available in the village park just beside the Therapy centre. All of our therapists are fully qualified and insured in the treatments that they offer, more information can be found on the our therapists section. You can always be assured of a caring and professional approach, enabling you to feel comfortable and relaxed during your treatment. Read testimonials from our clients here. We also stock products including Homeopathic remedies and creams from Helios Homeopathy, CBD Oil & Hemp based products, Optibac Probiotics, Westlabs Mineral Bathing Salts, Traumeel cream, Seagreens, we also sell a range of Himalayan Salt Lamps click to find out more. Keep up to date with everything that is happening at Fountain Therapies by looking at our News and Events page this gives full details of all our Events, Workshops and Clinic News or why not sign up to our newsletter and never miss a thing. 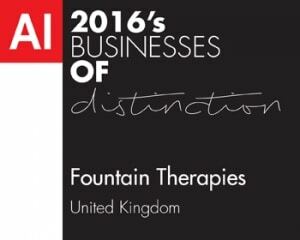 Looking to book a treatment with Fountain Therapies? Then please click on the button below to be taken to our online booking system. If you are a Therapists, Massage Therapist or Counsellor looking to rent rooms we have two rooms which have a massage/therapy bed and basin. The rooms can also be used for training sessions or talks for up to 10 people. We can offer the rooms for half day, full day or for a number of days. For more information please call us 01444 401271 and speak to our Business Director or complete the contact form. Same Day & Walk in Appointments are available please contact us for availability. Client Testimonials: Check out what people are saying about us. Don’t just take our word for it – read what just a small selection of the many satisfied clients Fountain Therapies has helped and guided over the years. Thank you so much Liz for the emergency treatment you gave me on Monday. The Indian Head Massage really helped with the soreness that was causing me so much discomfort. The Reiki was amazing and the massage on my back really helped too. Your commitment and dedication in helping people heal is exceptional. When I had the pain in my shoulder last year (2014), your treatment really helped in conjunction with the other therapies to get it back to normal. I would highly recommend your services to others. Thank you. Dawn, I just want to say thank you so very much for the Energy Work and Cranial Sacral treatment that I have received from you over the last year and a half. My energy levels and indeed posture have improved. I feel much calmer, and in particular the pain in my shoulder (combined with other treatments) have thankfully now totally gone. I am so delighted that I was introduced to you by a friend of mine whom you treated nearly two years ago. You are a star! Sam has created a centre of excellence for natural healing, remedies and therapies. Join The 1000+ Satisfied Fountain Therapies Clients! 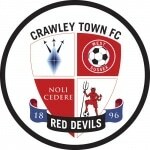 Official Community Business Network Club Partner.